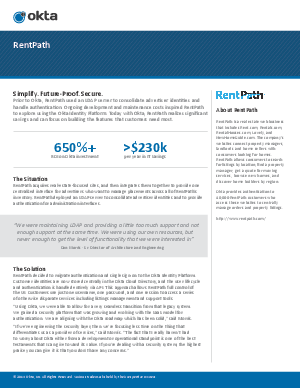 > Research Library > Okta > Case Study: RentPath. Simplify. Future-Proof. Secure.